The last time we saw Marc Gasol, the center was putting his entire repertoire on display, leading the Memphis Grizzlies in a gripping series against the Golden State Warriors. Despite Gasol’s heroics (Game 3 was especially memorable), Memphis would lose the series in six games to the high-octane Warriors, and Gasol unofficially entered into unrestricted free agency. Speculation of a new location immediately followed. 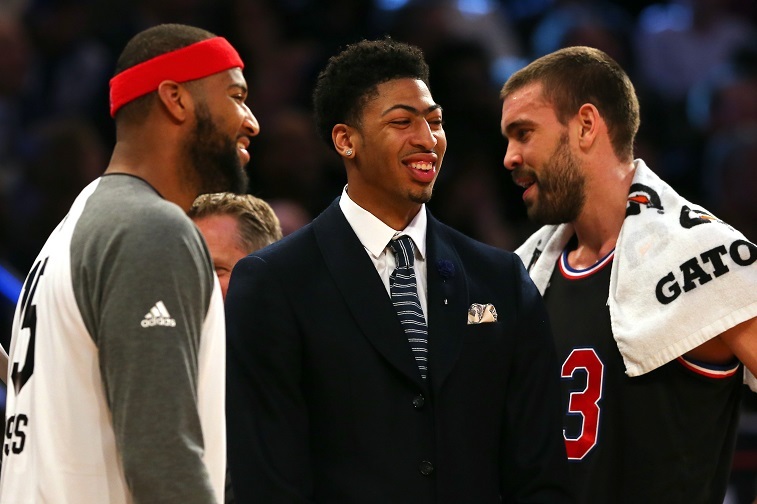 The five following teams are likely to emerge as major players in Gasol’s offseason. Back in 2008, the Lakers dealt Marc Gasol as part of a trade for his brother, Pau. At the time, this move was ripped as one of the most lopsided trades in the history of the game, and a literal championship gift to Los Angeles. Of course, Marc Gasol went on to blossom into one of the most skilled centers in the game; Los Angeles would love to have him back to help Kobe win one last title before retirement, although Marc has certainly noticed that Pau has flourished in Chicago, away from the notoriously cantankerous Black Mamba and the lackluster bench bedecked in Purple and Gold. The Lakers do own the second overall pick in the 2015 draft, after grinding through a humiliating regular season. They could use the pick, of course, or they could trade it out for more assets and a shot at picking up a young wing, like D’Angelo Russell, later in the draft. Their prized pick from last year, Julius Randle, will also be returning to the hardwood after breaking his leg during the opening minutes of his rookie season. The Lakers would then trot out one of the more intriguing starting lineups in the NBA, especially if they could land Gasol at center. New York and Los Angeles will always take top billing with free agents anxious for the exposure of playing in front of one of the largest media markets in the world, if only because a top player like Gasol would earn several million dollars in endorsement income each year, on top of his max deal. The Knicks, however, have also fallen upon hard times — they offer little more to any free agent than Carmelo Anthony, the fourth overall pick, and cap space. Like the Lakers, the Knicks can quickly rebuild this storied franchise, with smart wheeling and dealing. A front-line featuring Marc Gasol and Carmelo Anthony would immediately emerge as one of the most devastating inside-out combinations in all of basketball. Anthony and Gasol would be especially devastating out of the pick-and-roll, with both players capable of either finishing off plays at the front of the rim, or popping out in space to knock down mid-range jump shots. Phil Jackson and Derrick Fisher, of course, have committed themselves to the trying process of installing the triangle offense without chief architect Tex Winter, who is now living out his golden years in Texas. The triangle is a complicated scheme notable for its flex cuts, solid screening, and crisp cross-court ball movement. Like his brother before him, Marc Gasol would operate out of the high post, as a triple threat to shoot, drive, or pass within the flow of the offense. Dallas has been rumored to be the top landing spot for free agent LaMarcus Aldridge. Aldridge was born and raised in Dallas, before heading down I-35 to play his college ball at the University of Texas. Aldridge, however, would force a logjam at power forward with Dirk Nowitzki, as neither particularly enjoys playing the center position. Mark Cuban, of course, is always willing to roll the dice, and the Mavericks have a number of assets, in Al-Farouq Aminu, J.J. Barea, and Tyson Chandler, that may be dealt to clear up cap space. For 2015-2016, Dallas could build a roster around a Monta Ellis / Marc Gasol / Dirk Nowitzki nucleus and make a serious championship run. With Nowitzki spreading the floor, Gasol would be left free to go to work and do damage on the low block, not to mention his superior passing ability. 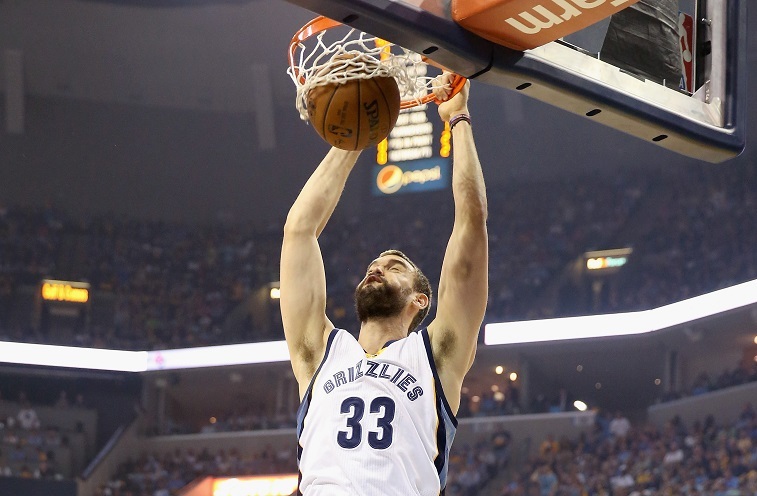 Marc Gasol grew up in Memphis, literally and as a basketball player. As a young man, Marc Gasol began showing flashes of greatness for his suburban high school, while big brother Pau filled the seats downtown. From there, Marc went back to Spain to play professionally, before being drafted by the Lakers with the 48th overall pick in 2007 — the draft rights they included in the trade package to Pau. 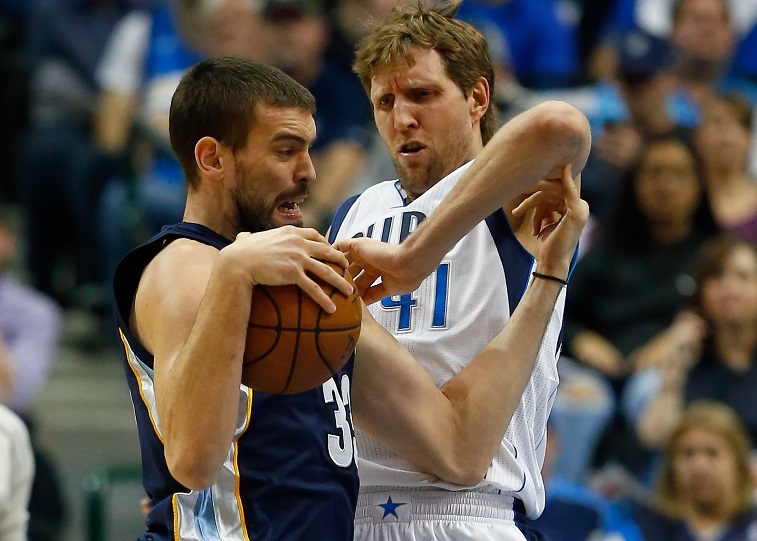 As somewhat of a surprising rookie success, Marc Gasol put up a solid 12 points and seven rebounds per game. With time, Gasol shed body fat, while also unleashing more of a mean streak in the paint. Last year, Gasol put it all together, in putting up 17 points, eight rebounds, and four assists per contest. In Memphis, Marc Gasol has developed a unique chemistry with Zach Randolph, as the two appear to take turns operating on the low block. 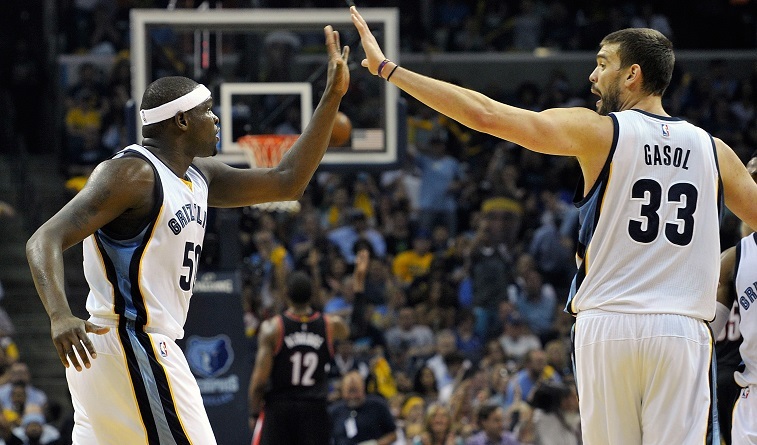 When doubled, Gasol will often slip a touch pass into Z-Bo for an easy score. The 2014-2015 Memphis Grizzlies did go 55-27 through the regular season and outlasted the Portland Trailblazers in the first-round of the Western Conference Playoffs. From there, the Grizzlies gave the Warriors all they could handle, even through injuries to key contributors — during this stretch, floor general Mike Conley missed major action, after fracturing his face in the Portland series. Next season, the Grizzlies will be right back in the hunt if they can retain Marc Gasol and add another prolific wing scorer to the mix. 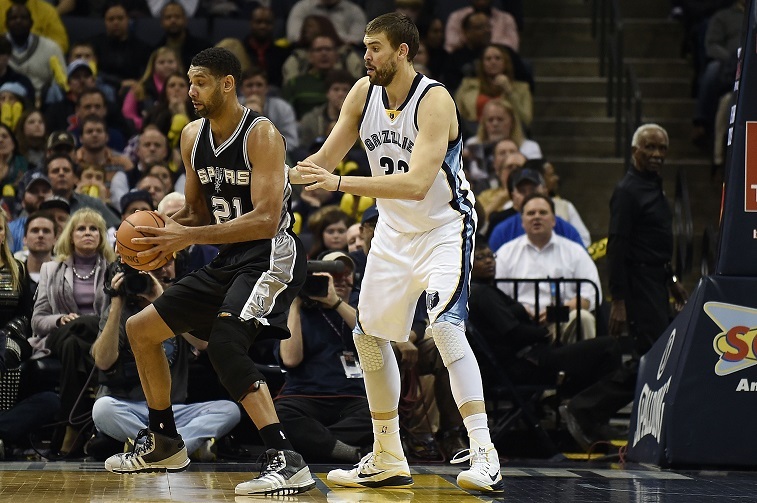 Marc Gasol would feel right at home in San Antonio, with its international flavor and key contributions from the likes of Tim Duncan, Tony Parker, Manu Ginobili, Boris Diaw, Patty Mills, and Marco Belinelli. The San Antonio system has been predicated upon constant motion, crisp ball movement, unselfish play, and classic professionalism, above all else. Gasol fits this ethic to a T.
The long-running Spurs Dynasty has won championships in 1999, 2003, 2005, 2007, and 2014. Most recently, San Antonio fell to the Clippers, in an epic first-round series. At 38, Tim Duncan proved he had plenty of gas left in the tank, putting up 18 points, 11 rebounds, three assists, one steal, and one block against Blake Griffin and company. Certainly, Marc Gasol would help Tim Duncan ride off into the sunset with dignity, as the greatest power forward of all time. Going forward, Gasol may also rely upon the growth of Kawhi Leonard to carry more of the scoring load. Last season, Leonard held his own against King James to bring home 2014 Finals MVP honors.